Creative applications are no stranger to the Nintendo 3DS, but with its built-in touchscreen and ability to export images via SD card, this should come as no surprise. Recognizing and taking advantage of the portable's potential, Collavier Corporation has already released both Comic Workshop and Painting Workshop in the past year. 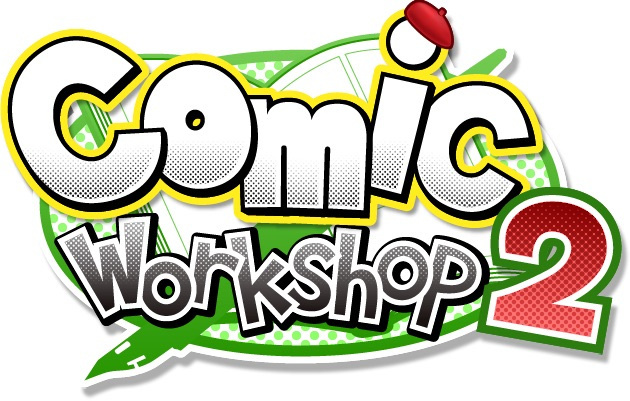 Showing no signs of slowing down, the developer recently announced the simultaneous North American and European releases of Comic Workshop 2, heading to the 3DS eShop on June 18th. Promising more responsive controls, new tools, better image quality and a plethora of other enhancements over the original, Comic Workshop 2 looks to be an excellent jumping-on point for veteran artists and newcomers alike. Owners of the first Comic Workshop title across both regions will also receive a 40% discount off of their purchase, a sign of good faith for those who have already poured hours of work into the original. Are any of you comic or manga artists eager to pick up this new drawing tool? Doodle away in the comments below. I found the first one medicore. Will see the reviews. I love comics So I'll probably get this. geedy part is eShop only.